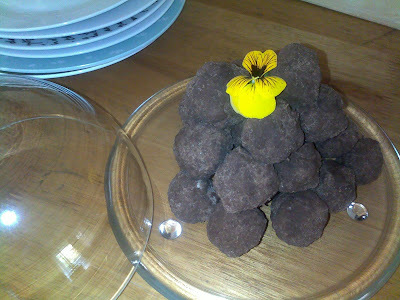 I found this fantastic gluten-free product at a health shop last week, and have been making batches of these little truffles for visitors ever since! 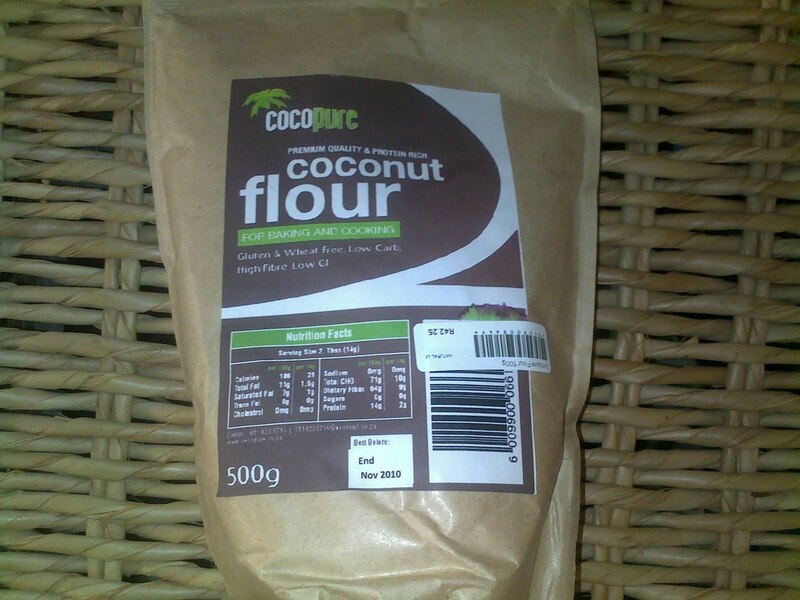 I contacted the distributor, Yussuf, to make sure that the flour doesn't contain any corn flour or other fillers, and was happy to find out that it is just pure, finely-milled coconut. Now, onto the truffles! My recipe is a raw modification of the chocolate charm cookies I posted about in February, but based on coconut oil/flour not butter/gf cake flour. You can, however, also bake it (see variation below at step 4 of method), with the end-product tasting like shortbread. Beat the coconut oil (room temp, not liquid) and agave syrup till lighter and fluffier. Use a dough hook to add in the coconut flour and cocoa powder. Roll into balls and refrigerate till ready to serve. IF YOU'D LIKE A BAKED PRODUCT then add an egg at step 2, as well as 1 tsp of vanilla essence. Refrigerate for 1 hour, roll into balls, bake in the oven at 160 degrees Celsius for 8 minutes. These taste like shortbread when baked! I've never baked anything with coconut flour, nice discovery. These truffles look delicious. Wow, these look super interesting! Love that they're raw and good for you. Will have to keep an eye out for coconut flour. Thanks for your kind comments Dajana and Marisa! 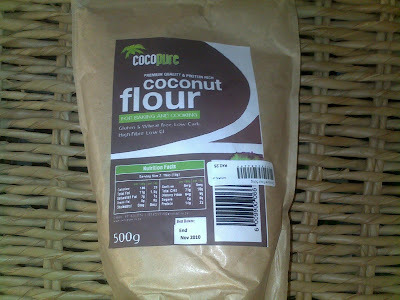 I bought coconut flour yesterday. I bought the same coconut flour from Yusuf and love love love using coconut flour for a pie base (so far tried with lemon meringue and gf milk tart) and vanilla coconut cupcakes. Great blog by the way! These truffles look so tasty and delicious! !